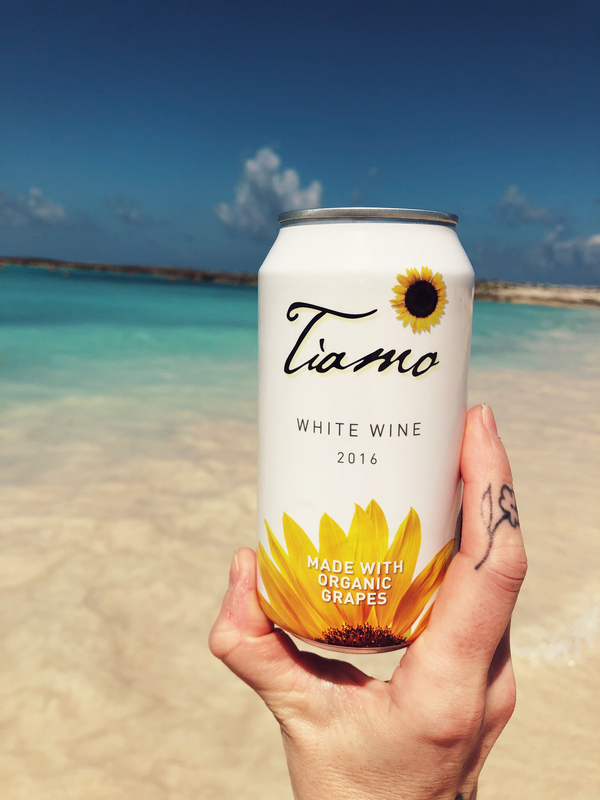 Great for on the go fun and outdoor activities, these organic wines are made with off the beaten path grapes like Montepulciano, Grillo and Nero d’Avola that come in a travel-ready can. It’s a great addition for any cooler or beach bag, allowing for easy transportation to any summer gathering. (It’s also very incognito, if need be :). They were a beach essential on my recent trip to the Bahamas! Brand: Tiamo wines are one of the many labels of the pioneering, British husband and wife team of Mel and Janie Master, their son Charlie along with the Sager family. Renowned for bringing great value wines to the US, Mel was responsible for introducing and promoting the wines of Georges Duboeuf in the US. Through the years, the duo has consistently brought fantastic value wines to the US, along with setting up their own wineries [Jordan Winery, Les Jamelles, Tortoise Creek]. All grapes for the Tiamo label are sourced from small growers and cooperatives, the wines are certified organic. The cans are available in 4-packs with an SRP of $19.99. Winemaking: Grapes are sourced from organically farmed, hillside vineyards with limestone and sandy soils in Sicily. Tasting Notes: Light gold in colour with aromas of apple, summer hay and a drizzle of honey. Crisp apple along with a subtle streak of tropical fruit are complimented by fresh acidity and pink grapefruit on the zippy finish. Super easy drinking, great with summer snacks. Pairing Suggestions from the Winery: Perfect with sunsets, sitting on docks, ball games and as an aperitif or with seafood, pasta or cheese. Winemaking: Grapes are from organically farmed hillside vineyards with chalky soil, in and around the village of Chiete, in Abruzzo. Tasting Notes: Pink-coral in colour with light aromas of strawberry and raspberry. Snappy and refreshing, with light, red berry fruits, citrus zest, bright acidity and a dry, crisp fruity finish. Wonderfully gluggable on its own, or with a wide variety of backyard snacks. Pairing Suggestions from the Winery: Picnics, BBQ, boating, the perfect all-purpose wine, great as an aperitif or with seafood, pasta and cheese. Winemaking: Grapes are from organically farmed vineyards in Abruzzo and Sicily. Tasting Notes: Garnet in colour with aromas of cherry, black cherry, cinnamon white pepper and a floral trace. Plum, cherry and black raspberry with a shake of black pepper, finishing dry and fruity. A light on its feet red that really pops slightly chilled. Sample submitted for editorial consideration.